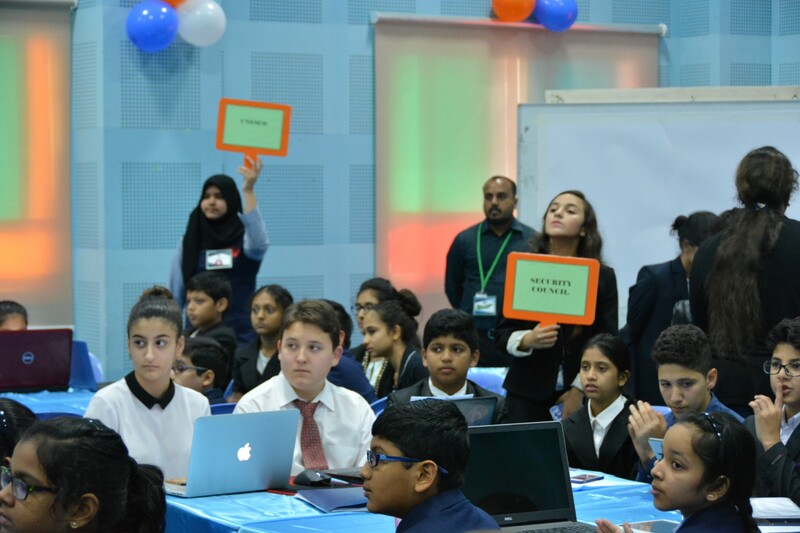 JMUN is an inkling of Model United Nations – an imitation of the UN General Assembly, UN Security Council, or other many-sided bodies, which introduces students to the world of diplomacy, negotiation, and decision making. 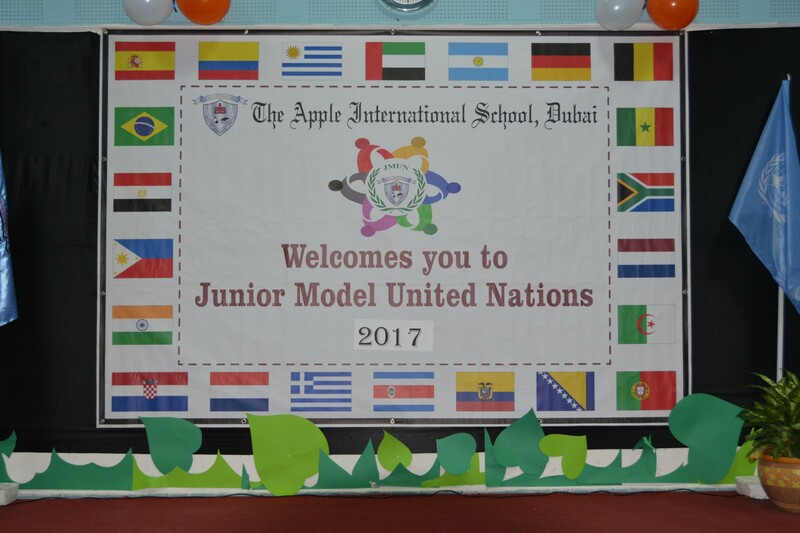 JMUN is a junior version of Model United Nation Conference, especially designed for middle school students. 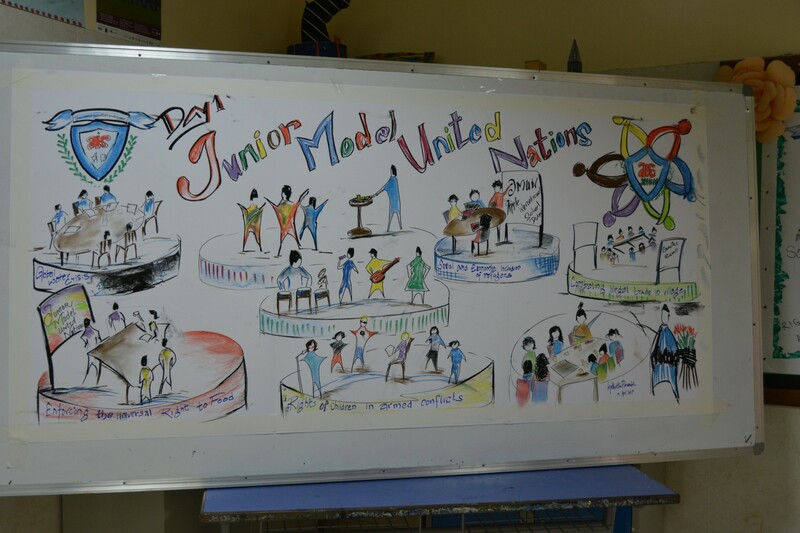 At JMUN, students step into the shoes of diplomats of countries that are members of the UN. The students, known as “delegates”, debate current issues on the organization’s agenda. 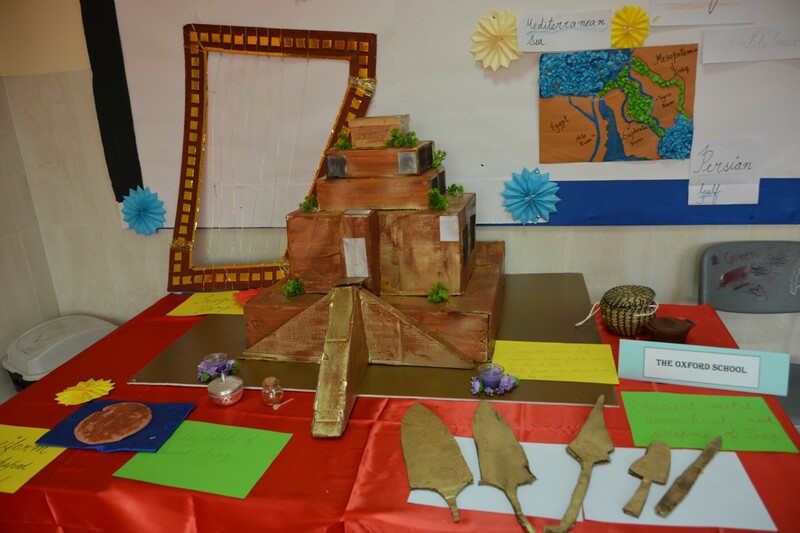 They prepare draft resolutions, discuss strategy, negotiate with supporters, resolve conflicts, as per the UN’s rules of procedure – all in the interest of resolving problems that affect the world. 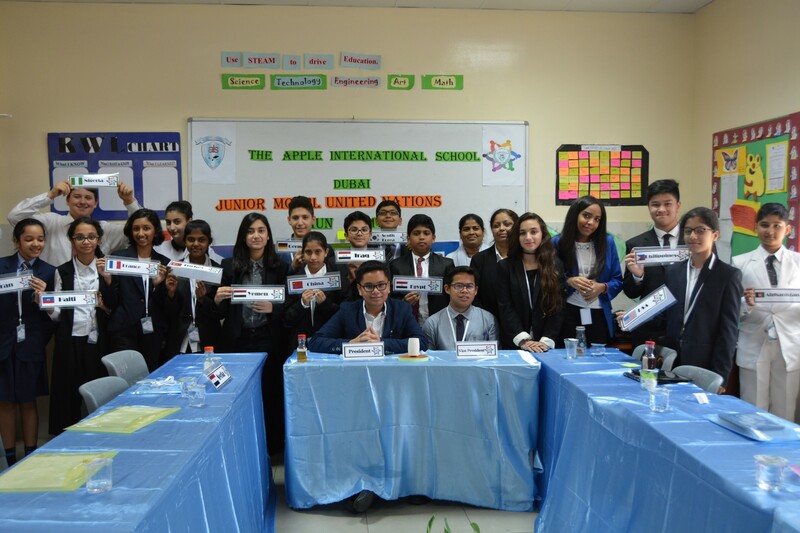 At JMUN, delegates learn how the international community voice its concerns about peace and security, human rights, the environment, food and hunger, economic development, and globalization. 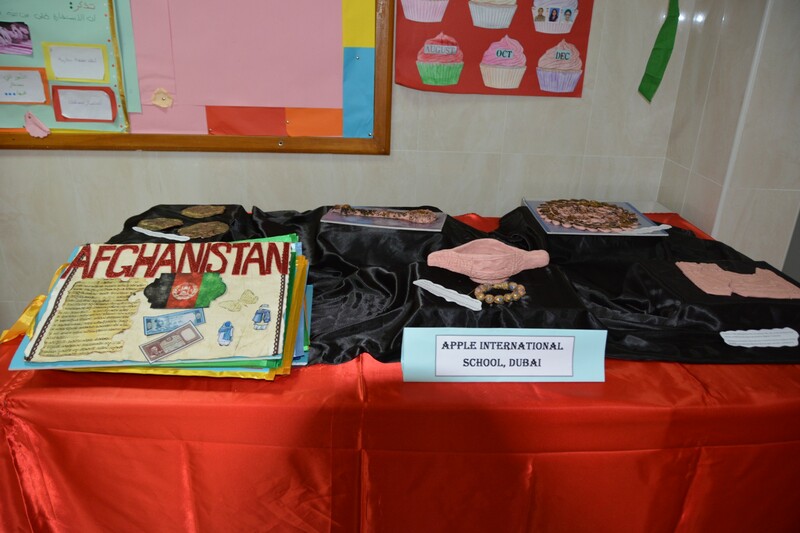 We at Apple international School believe in connecting education with real life and raising students who can cater to International needs. Not only that but to enable students to think critically, discuss, negotiate, reason and come up with one solution of global nature.Through JMUN we aim to prepare students as future delegates at MUN Conferences and world leaders at large. Delegates need to be strictly dressed in formals or school uniforms. The rules, regulations and decorum of the UN is to be followed at all times. For Registration please fill online registration form.